I think vintage and copyright free frame and design image are probably among the most popular on the web. 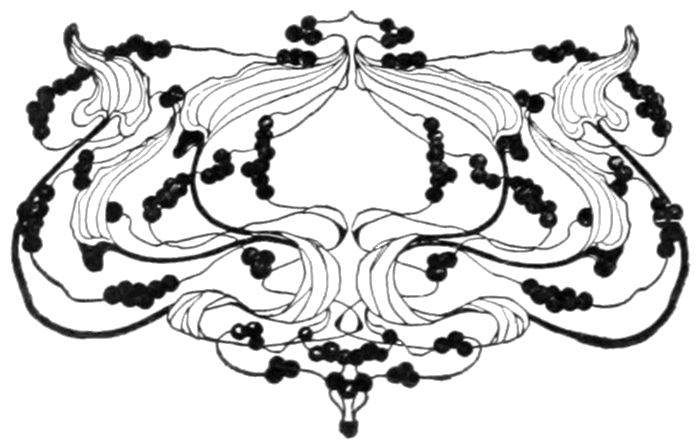 They can be used for art projects but are also incorporated into many web design projects. Problem with most sites offering public domain frames and designs is that you don’t really know if the images are safe to use. I can tell you, under American copyright law, as I understand it, these images are totally safe to use. The collection of images here is considerable smaller than the Borders, Frames and Vignettes section of Reusable Art but both are growing and in time I hope Free Vintage Art will contain even more wonderful vintage images for you to choose from. 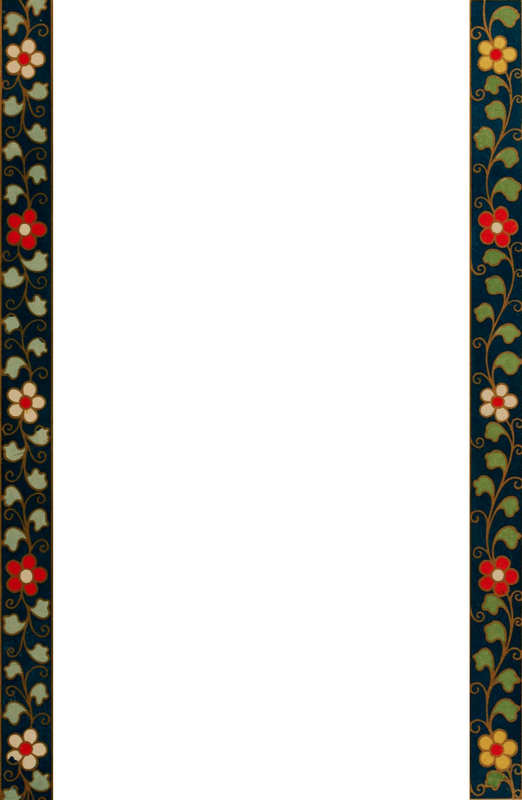 If you don’t see what you need here, be sure to check out Reusable Art’s frames section along with the small, but growing section of vintage background images and patterns. This Chinese frame is part of a design that appeared on a Cloisonné piece. No date for the original art, but the illustration is from 1867. 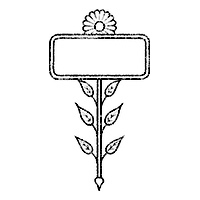 Vintage oak leaf frame image from 1908. Oak leaves, acorns and thin ribbon. Ready to be colorized. Free download. Vintage book cover image that makes a great flower frame sign. Add your own text and color to make it your own. Has a rubber-stamped look too. 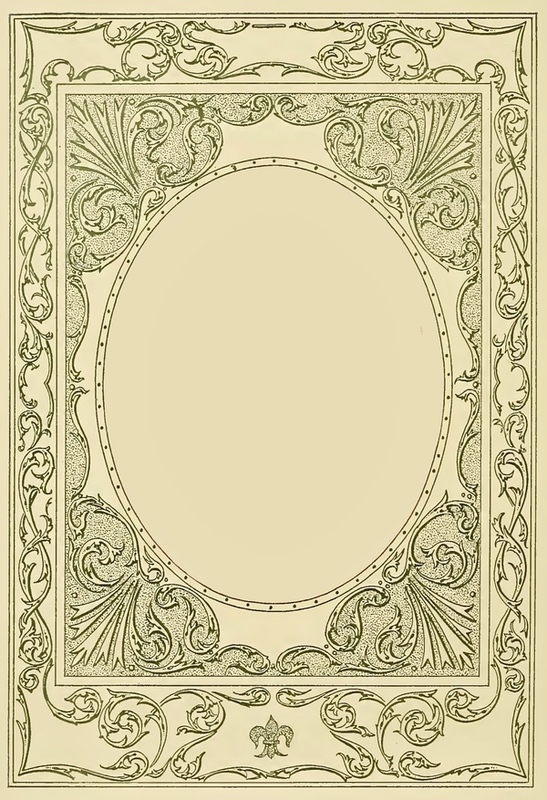 Vintage green frame image rescued from the title page of a book published in 1902. Public domain in USA. Free download from FreeVintageArt.com. 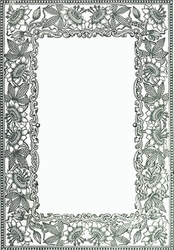 Pretty floral page frame. Dates back to the early 1900s used as title page. Tiger lilies and passion flowers surrounded in a checkerboard border. 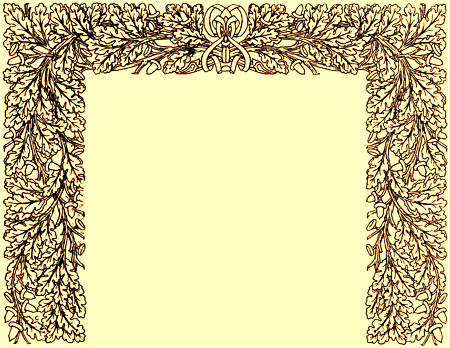 Vintage tree frame illustration and border perfect for your own text or framing an image. Shape is interesting, both rectangular and triangular. From 1909. 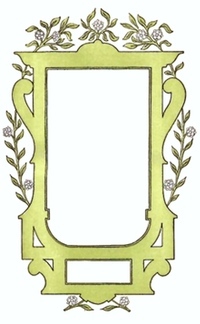 Vintage frame for letters from a 1909 magazine. Wonderfully vintage with a definite art deco sort of style. Don’t you have a new home for it? Vintage berry vignette from a 1909 magazine. Would add a lot of drama to what might ordinarily be plain white space when used as a page spacer or vignette. Vintage art deco frame used to showcase text. From a 1909 magazine. Public domain in the United States, this leaves and flowers vignette is from a 1909 magazine. Vintage oval mat frame that was used in 1900 to surround the portrait of a famous American woman. Today it can frame your own favorite lady or artwork. 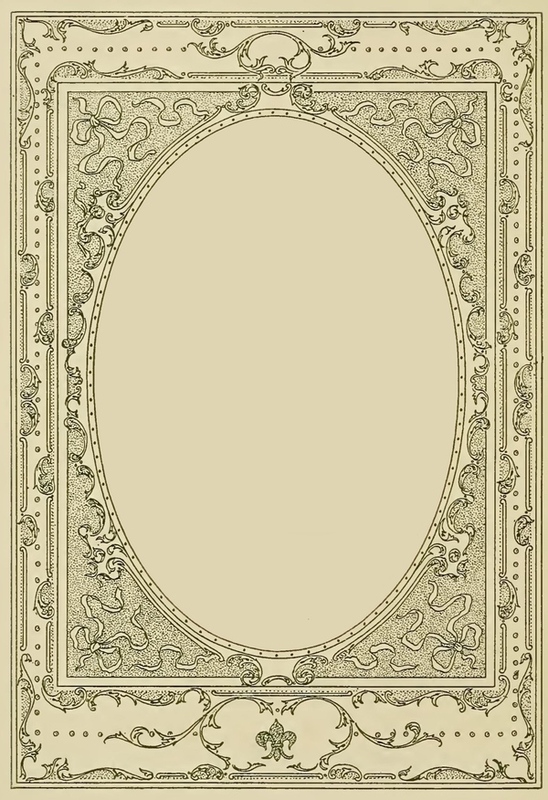 Vintage oval frame with an outer rectangular frame that could be separated into two frame images. From a book about the heroines of the American Revolution. I did a search on Amazon for acetate frame to get you started. Maybe you'll find that little something that will transform your current creative project into something spectacular.